Dianna M. Young began her dog-training career in Germany, where she served three years of apprenticeship under skilled master trainers, studying and participating in dog training for police-service work, security, scent detection, personal protection, tracking and search-and-rescue. Dianna returned to the United States and enrolled in a nationally accredited school for professional dog trainers, where she continued her studies in canine behavior, all facets of professional dog training and animal husbandry. Upon completing her schooling, she worked and studied for several years in animal-related fields in New York state. Dianna also served as an Animal Control Officer, enforcing animal-related laws and ordinances in New York state, and managed a 103-animal-capacity shelter and holding facility for a New York township. Dianna then apprenticed under world-renowned Certified Master Trainer John M. Henkel of New Milford, Connecticut. 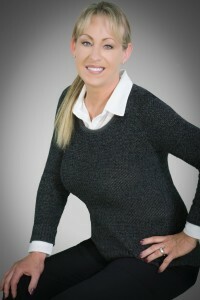 While employed at the Henkel teaching and training facility, Dianna assisted John with classes for the personnel of many law-enforcement and security agencies in New York and New England, and also with providing trained dogs world-wide to celebrities and dignitaries for personal and estate protection. After returning to her native Pacific Northwest, Dianna began her own consulting and training services, and spent two years as canine-behavior consultant and in-store dog trainer for outlets of a national pet-supply store chain in two Washington cities. In 1997 Dianna opened her own training and boarding facility, Camano Island Kennels, where she trains dogs successfully for a wide range of clients. People come to her with needs that range from simple obedience training to the finding and implementing of solutions for complex behavioral problems. She is a first-choice for some veterinarians who seek training for themselves and their own dogs, and teaches classes and seminars in dog-handling for the staffs of veterinary hospitals, animal shelters and rescue organizations. Since moving to Camano Island, Dianna also has competed successfully at the international level with her own personal service dogs. Some have ranked very high for training in national and international Sieger shows, in which dogs demonstrate proficiency with skills similar to those used by police-service dogs. This has included attaining the position of number-one dog in the United States and number-one dog in Canada in their respective classes. Robert H. Mottram is an award-winning writer who spent more than 40 years in daily journalism as an Associated Press Correspondent, newspaper reporter, feature writer, columnist and editorial writer. He served for 24 years as outdoor writer for The News Tribune of Tacoma, Washington, and is former president and chairman of the board of the Northwest Outdoor Writers Association. Robert also is author of Saltwater Salmon Angling, published by Frank Amato Publications; Angler’s Guide to the West Coast: Salmon and Tuna, published by Wilderness Adventures Press; and In Search of America’s Heartbeat: Twelve Months on the Road, a personal memoir about a year on the road in search of the essence of America. He is a recipient of more than 40 national and regional awards for reporting and writing, including two national “Best of the Best” awards for feature writing.